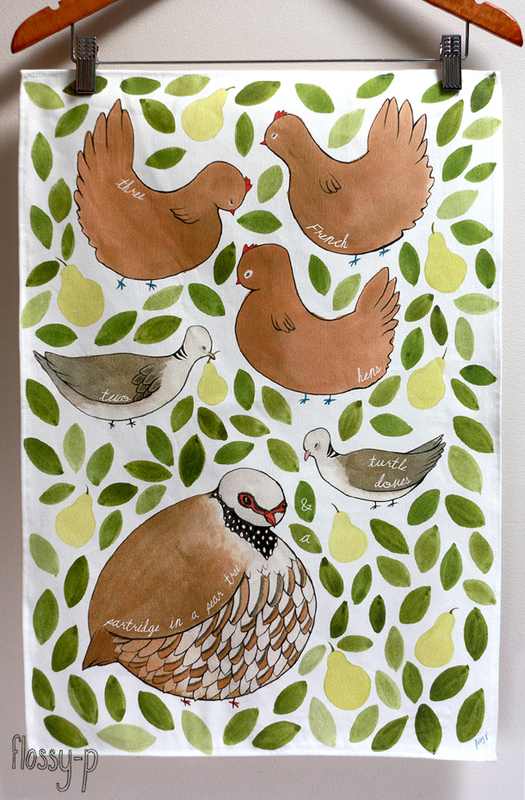 I have a new line of tea towels out! Christmassy, but in a subtle way, so if you wanted to, you could use them all year round. Both based on the Christmas carol “Twelve Days of Christmas”. With three French hens, two turtle doves, and a partridge in a pear treeeee. 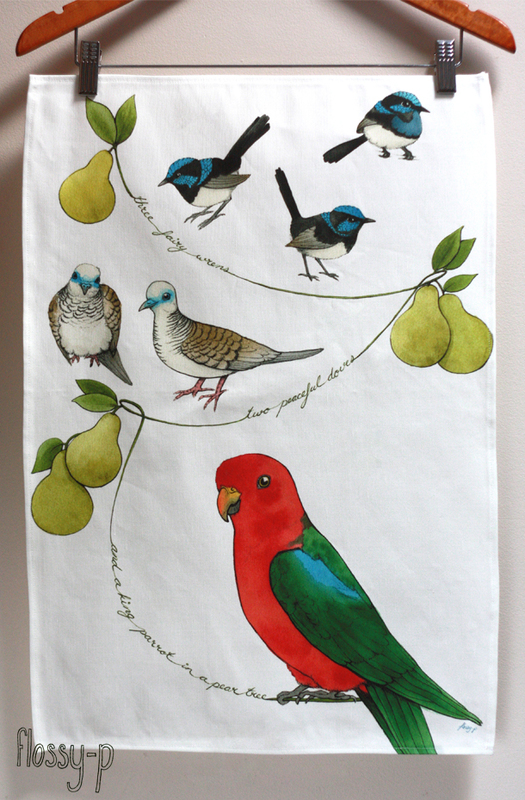 And a uniquely Australian take on the same carol, featuring birds native to Australia; “three fairy wrens, two peaceful doves, and a king parrot in a pear treeeee! Deliciously crisp white cotton linen, with a print that rendered the detail SO well. I couldn’t be most pleased with them! $20 each, available to buy in my Etsy shop, and at the Made With Love Markets on the 1st Dec.